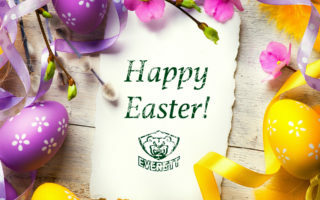 EVERETT – Kevin Davis’ first career WHL goal was also the overtime winner as the Everett Silvertips knocked off the Vancouver Giants 2-1 on Valentine’s night at Comcast Arena. The victory moves Everett back into a tie with Vancouver for sixth place in the Western Conference as the ‘Tips finish the season series with four wins over the Giants in six tries. 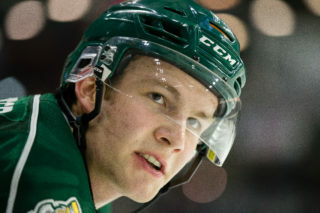 The Silvertips killed off a carry-over penalty early in the overtime to set up Kevin Davis’ first career goal on a long point shot that found the top corner midway through the extra period. Dawson Leedahl recorded his fifth goal of the season for Everett’s first score of the game. Goaltender Austin Lotz (20-17-3-1) turned away 26 of 27 shots in net and was named third star. A back-and-forth first period saw plenty of flow, but few high-quality chances as neither team found the back of the net. The ‘Tips were awarded a powerplay late in the period, but the Giants blocked a series of shots to keep the game scoreless. Shots were 5-4 in favor of the ‘Tips after 20 minutes of play. Vancouver almost opened up scoring early in the second as a shot clanged off the inside edge of the post, but ricocheted out. Everett then struck first midway through the period as a rebound from the left circle kicked across the slot and right to Dawson Leedahl, who quickly blasted home his first goal since November. Vancouver threatened a short time later on a 2-on-1 rush as Jackson Houck set up a glorious chance in front for Cain Franson, who was robbed with a sprawling glove save by Austin Lotz across the goal mouth. Vancouver took a 16-15 advantage on the shot clock through two periods, but the ‘Tips held a 1-0 lead. Joel Hamilton finished off a nice give-and-go play with Tim Traber early in the third period to tie the game at one for the Giants and set up a tense final frame. Vancouver appeared to take the lead when a Dominik Volek knocked a rebound through Lotz’ legs from between the circles, but the goal was disallowed after video replay confirmed that he had kicked the puck into the net. 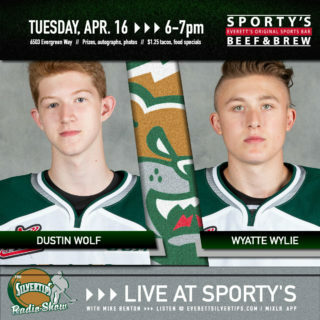 The Silvertips held a 15-9 shot edge in the period, but the game remained tied into the waning minutes when Everett took a penalty to set up a late Giants’ powerplay. The ‘Tips killed the first half of the penalty to end the third and then finished off the 4-on-3 kill in overtime. Everett then controlled the puck in the offensive zone at even strength as Manraj Hayer sent a pass to the line for Davis, who one-timed a shot through traffic into the top corner of Jared Rathjen’s net for the game-winning goal. Rathjen (11-6-4-1) stopped 29 shots in net for Vancouver as final shots were 31-27 in Everett’s favor. The Silvertips were scoreless on four powerplays and successfully killed off the Giants’ lone advantage. 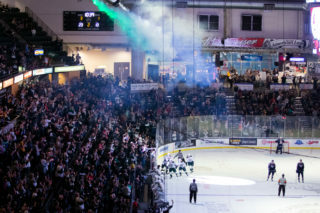 The Silvertips are right back on home ice Saturday night for a big U.S. division battle against the rival Seattle Thunderbirds at 7:05 pm at Comcast Arena. Everett will then travel to Spokane to complete a three-in-three weekend against the Chiefs at 5:05 pm Sunday afternoon at Spokane Arena. Silvertips flex tickets and “Now & Later” packs for the 2013-14 WHL season are available now at the team office. Visit our website or call 425-252-5100 for more information. 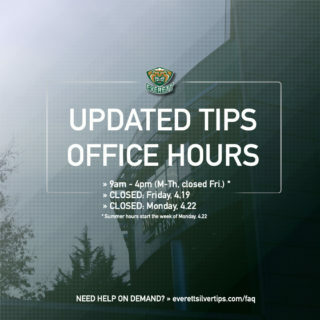 To keep up with all the latest team news, “like” the Everett Silvertips Hockey Club on Facebook or follow @WHLSilvertips on Twitter.